Third Saturday of April, it’s got to be Ras y Moelwyn. 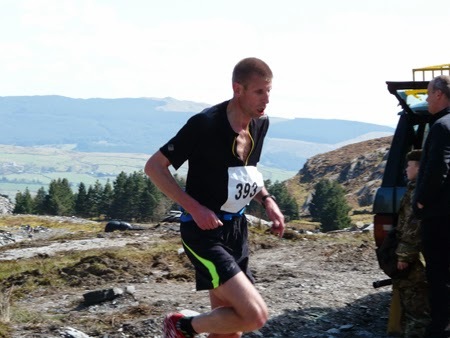 The sun was shining as a record 158 runners set off on the 10½ mile 2,800 feet of altitude race up Moelwyn Mawr, Moelwyn Bach and Moel yr Hydd. Official results will be on the official site soon but here is a preview of what it looked like. Many thanks to the Brythoniaid male voice choir for the music to the film. If you do get to see the results and notice a stunningly good time for H. Jenkins I’m afraid that wasn’t Huw but someone else who did very, very well! Diolch yn fawr iawn to the runners and the organisers for a great event. And this is what last year's race was like.